CHISON MEDICAL IMAGING CO., LTD – MedHospAfrica-Kenya, Tanzania, Africa Medical Importers Directory. 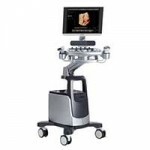 Chison Medical Imaging Co., Ltd. is one of the world’s leading manufacturers for ultrasound systems. With its know-how of transducer design, strong technical force of modern biomedical engineering, software & electronics, CHISON has specialized in the development & manufacturing of high quality ultrasound systems for 20 years . It is ISO & CE certified by TUV in Germany.